Along with the sweet, warm tone provided by its all-solid body, the C9 features the vintage elegance of a hand-inlayed mother-of-pearl rosette inspired by a 1920s Domingo Esteso design. Canadian cedar top and solid mahogany back and sides. Comes with Cordoba Polyfoam case. 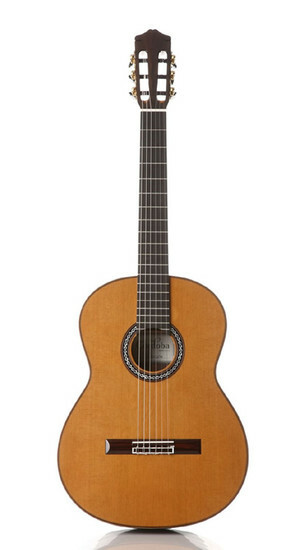 The Cordoba C-9 Classical guitar with the included Savarez Crystal Corum High Tension 500CJ strings was hesitantly purchased as I wondered if it would really be much of an improvement over my existing classical guitar. It was. Oh yes, it was! We first considered C-5, then C-7 and settled with C-9. Superb build and finish as well as playability. Its everything the description said! Strings by Mail staff was extremely friendly. This is the only website that offered Cordoba HumiCase hardshell case with the purchase for the same price. Very easy decision to buy here.